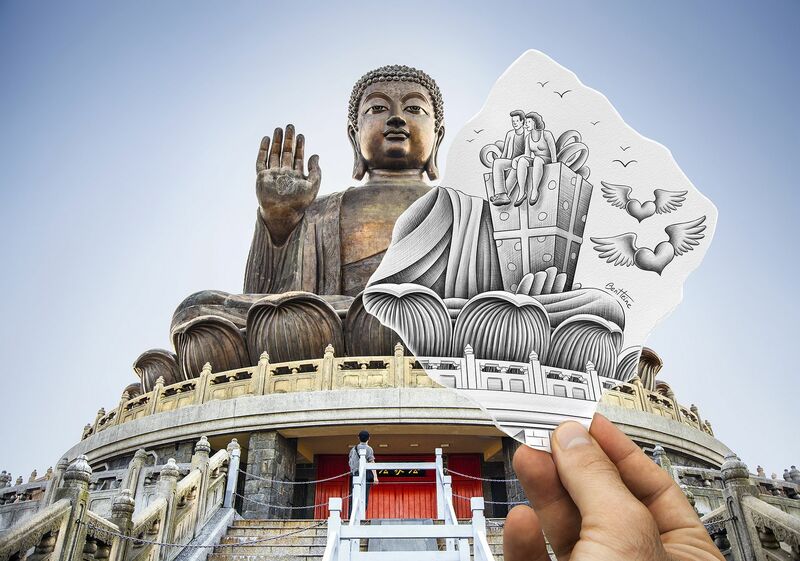 In 2010, Belgian-born artist Ben Heine emerged in the art world with his “Pencil vs Camera” series, blending drawing with photography and blurring the line between imagination and reality. Although Heine has no formal training in art, he has shown that creativity, perseverance, and a willingness to pursue his passions can be greatly fulfilling. 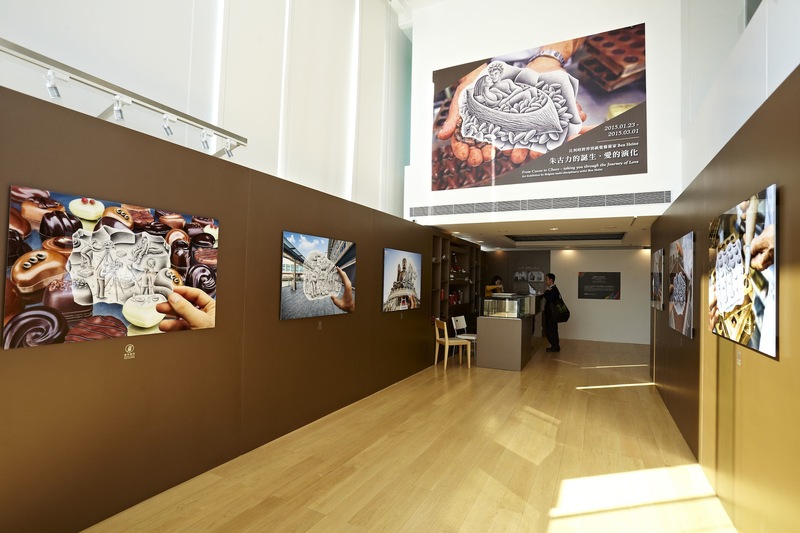 Now, Heine presents his first exhibition in Hong Kong, coinciding with Harbour City’s sixth annual “Chocolate Trail” event. 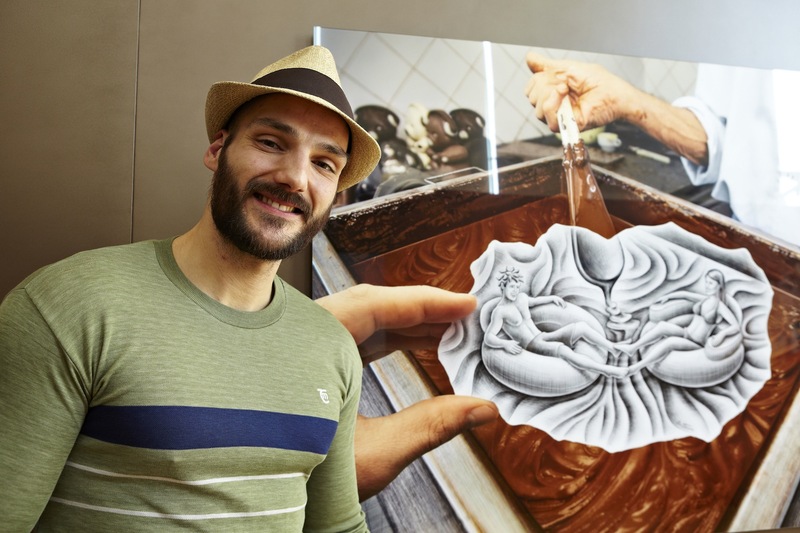 We sit down with the artist to learn more about his exhibit, “From Cocoa to Choco – Taking you Through the Journey of Love,” which will be on show until March 1, 2015. Hong Kong Tatler: How did you become interested in artistic expression, and what inspired you to pursue art as a career? 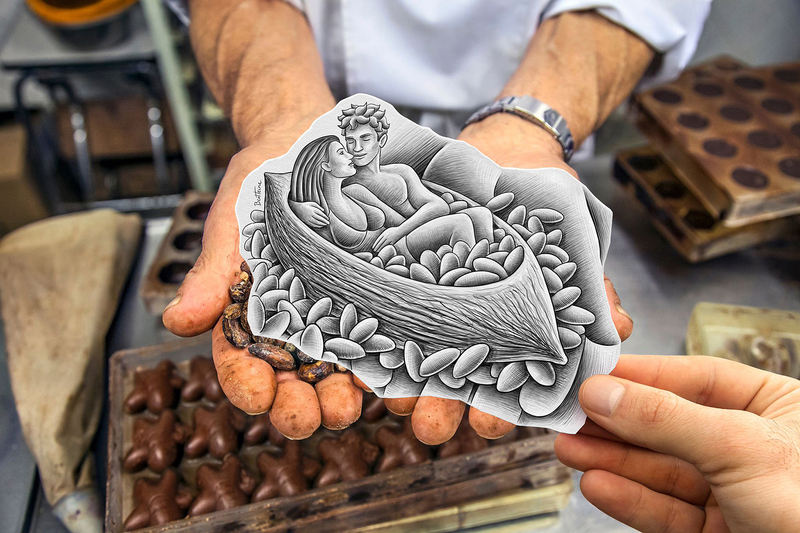 Ben Heine: I think it comes from my family. My mother is a dance teacher and she has a more creative mind, and my father is an engineer, so he is more pragmatic. I feel like the “Pencil vs Camera” series has both of their influences in it, but the artistic aspect definitely comes from my mother. When I started this series, it was a big bet because it could have been a total flop. Luckily, it all worked out and people really liked it. HKT: Walk us through how you create pieces in the “Pencil vs Camera” series. BH: Usually when I am on site, I make a quick sketch and then I take a photo. It looks so simple, but it takes a lot of time to get the lines to match. The first sketch never looks as good as I want it to look, so I have to redo it afterwards. There is also a lot of technique involved in photography, digital editing of photography, traditional drawing, digital edition of traditional drawing, and then retouching, so a lot of mediums are put together. For one person, it’s a lot of things to do, and it takes time to switch from one medium to another, and then come back to correct the small mistakes. HKT: What’s the most challenging aspect of taking this multi-disciplinary approach to creating your work? BH: For this exhibition, I really didn’t have a lot of time to put it all together, so the time pressure was the most difficult part of it. If I had all the time I wanted, nothing is difficult – I just love what I do. Drawing and taking photographs, it’s not the technique that is difficult, it’s the pressure of time. HKT: How long did it take you to get this whole exhibit together? BH: From the beginning until the unveiling of the exhibition, it took about two months. It was very intense work. I came to Hong Kong towards the end of 2014 with no idea of what I was going to do. Then I went back to Belgium to work on the sketches and photographs I took while I was here. I actually just finished the exhibit the day before taking the plane to come back to Hong Kong, so it was a really tight deadline. HKT: Where do you find your inspiration? BH: It’s a big mix of everything. Some inspiration comes from events and experiences in my life, while others may come from meeting people, reading books, going to watch a movie, or seeing other artworks. But mainly, I try to be a reflection of my direct environment. For this project, I tried to reflect my feelings about the places I visited. For example, at the Buddha, I thought about after-life and spirituality, and of course love, because this is the theme of the exhibition. The hearts with wings are like small angels, and is my interpretation of the after-life and going to the sky. HKT: After gaining recognition for your “Pencil vs Camera” series, has it been difficult to branch out from that? BH: Yes, it has been difficult. People recognise me as the “Pencil vs Camera” guy, and don’t seem to really pay much attention to some of the other things I do. I recently started creating some electronic music, and it’s very difficult to let people know about it. I have to work really hard at it since I don’t have any musical background and am teaching myself as I go along, but it takes so much time. Right now, it’s more of a passion and escape when I need a break from drawing.